Awards are rolling in for Political Science major Hadeel Abdallah. First, she won entry into the College of Arts & Science's Trunzo Scholars Program, taking the top ($5,000) award so that she could pursue a nationally recognized internship. Then, she won the university's VanMeter Award for outstanding volunteer and community service. But the big prize -- and the big surprise -- came today. A number of top UK administrators joined Hadeel's mentors, Prof. Jesse C. Johnson and Prof. Tiffany Barnes, in a surprise visit to Hadeel's class to announce that she'd received the nationally competitive $30,000 Truman Scholarship for graduate study. Given to students intending to pursue a career in public service. the Truman will allow Hadeel to pursue a Ph.D. in migration studies. A camera crew recorded the surprise announcement -- made by UK Pres. Eli Capilouto with College of Arts & Sciences Dean Mark Kornbluh and Political Science Dept. Chair Clayton Thyne -- and recorded an interview with Hadeel about her good news, resulting in a video available on YouTube. 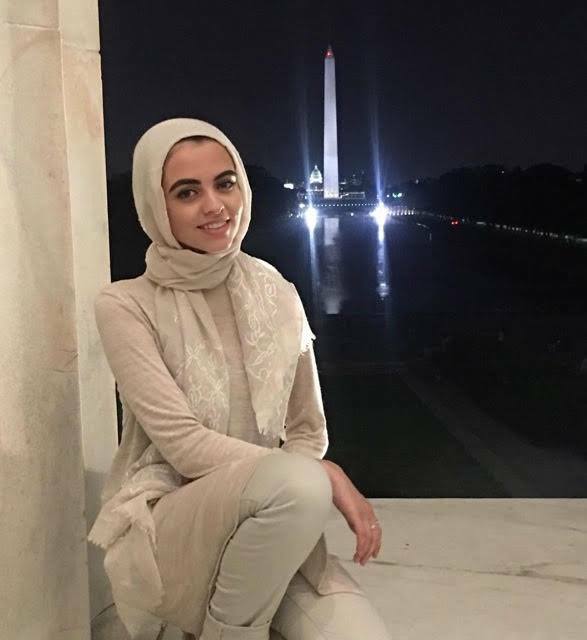 Hadeel attended Lexington's Paul Laurence Dunbar High School. In addition to Political Science, the UK junior is also majoring in Arabic and Islamic Studies. She holds both a Chellgren Fellowship and a Gaines Fellowship in the humanities.